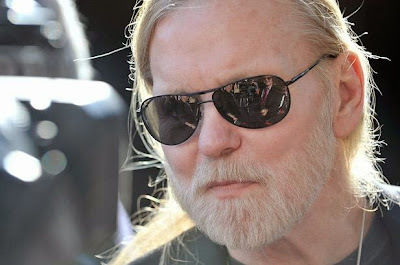 Gregg Allman has announced dates for a spring US tour. The 2-month run begins March 13 in Northfield, OH and wraps up in Austin, TX on May 9. The tour mixes “An Evening With” with regular performances that will see Allman joined by a mix of opening acts, including SIMO, Amanda Shires and the Devon Allman Band. Allman's touring band features: guitarist Scott Sharrard, keyboardist Peter Levin, drummer Steve Potts, percussionist Marc Quinones, bassist Ron Johnson and horn players Jay Collins, Art Edmaiston and Marc Franklin. Allman has been nominated for a Grammy Award at next month’s event in the Best American Roots Performance category for his collaboration with Taj Mahal on “Statesboro Blues” from 2014’s “All My Friends: Celebrating the Songs & Voice of Gregg Allman” - a CD/DVD/Blu-Ray that captures a multi-generational assortment of musicians from the worlds of rock, blues and country joined together at Atlanta's historic Fox Theatre for a once-in-a-lifetime all-star performance paying tribute to Allman's life and music. Gregg and the Allman Brothers Band played their final live show on October 28, 2014 at the Beacon Theater in New York after 45 years as a group.